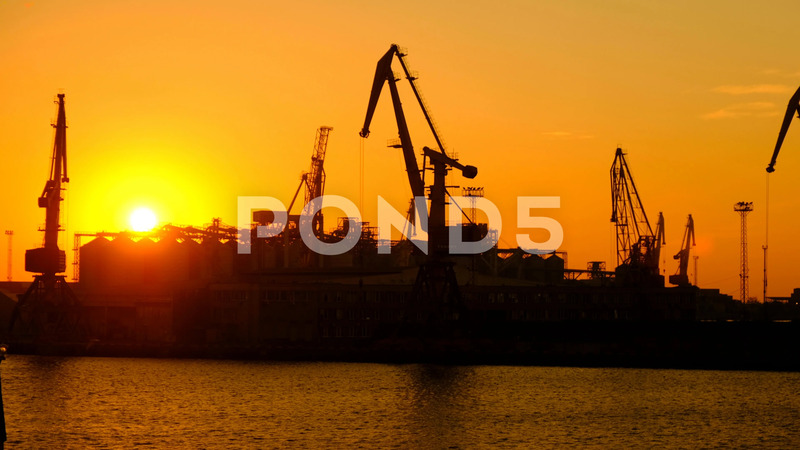 Description: Beautiful sunsets in the sea trading port. Portal cranes in the seaport at sunset of the day. Series.